Do you have a requirement to gather your community? Let us help you turn your vision into a reality. Looking to plan an event but unsure where to start? Already started planning your event, and realize you could use some help? 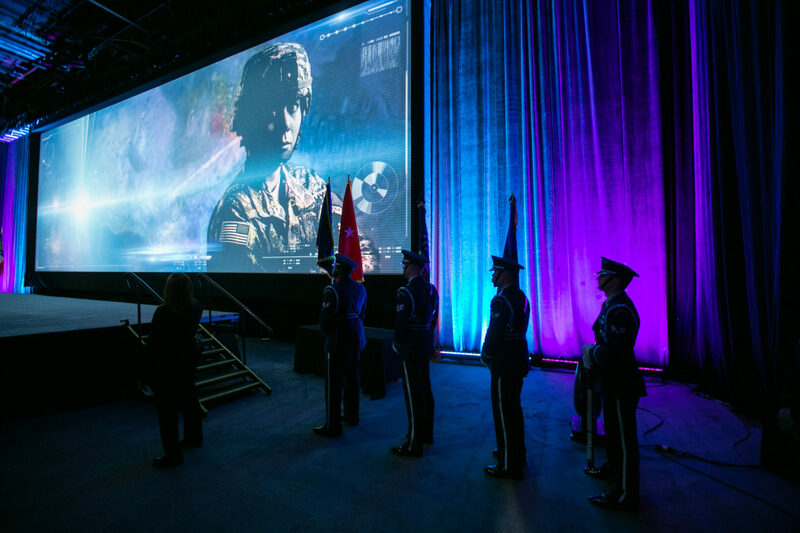 The staff at NCSI are experts in the planning, marketing, and production of events and expositions custom tailored to meet the requirements of the DoD, Intelligence Community, and Federal Government. Regardless of whether you are a few months into the planning process, or just have an idea starting to form, when it comes to meetings and events, our capabilities, resources, flexibility, and track record of success are unmatched. We stand ready to take on your most demanding and/or complex projects, whether a classified or unclassified event, stateside, or OCONUS. The majority of our event planning services are available using a unique no-cost model, which offers our government clients the opportunity to utilize the full array of our services at no-cost to the hosting agency or organization. Whether you are planning a conference, industry day, or exposition, our experts are ready to help take your event from good to great. NCSI works closely with hosting government organizations who have a requirement to conduct a conference, accompanied by a technology exposition, for the purpose of providing their community an opportunity to gather, share information, and collaborate under one roof. Conferences range in size from 300 to 3,000+ participants and typically take place in destination cities over multiple days. Collaboration is key, and as a valuable part of the government’s conference planning team, NCSI handles the simplest to most complex logistical requirements, from site selection to VIP protocol to graphic design, allowing the government to focus on the important content and overall mission objectives for their program. Industry Days are uniquely designed for government personnel to present their current and future initiatives and requirements to an audience of industry representatives, thereby fostering the healthy collaboration essential for innovation and progress. These events consist of briefings by agency and DoD leaders and are attended by hundreds of industry representatives seeking information on short and long-term vision and initiatives. In many cases, industry days will include a subsequent exposition where industry partners are able to showcase their solutions to government representatives. No-cost events are ideal to help agencies meet outreach requirements. A technology exposition, in conjunction with your event, enables your attendees to evaluate emerging and mission related technologies that can run parallel to an event theme or agenda. Expos encourage dialogue, education, and collaboration between government and industry attendees while fostering a culture of partnership with the vendor community in an ethical forum. To ensure compliance with ethics regulations, exhibitor recruitment and logistics are expertly managed to avoid the appearance or implication of government endorsement or favoritism. On-site expos typically occur in a main headquarters building or community area, last four hours in duration, and attract 25+ exhibitors and 250+ government participants in a single day! These compact, yet potent, events showcase mission-appropriate technologies and are held on-site so that they are free, open, and convenient to senior leadership and all other interested personnel. On-site expos are sponsored/hosted regularly at U.S. Government locations around the world by groups/commands within the Department of Defense, Intelligence Community, and Civilian Agencies and serve to advance organizational mission, goals, and objectives. Our professional and dedicated staff approaches each event with meticulous attention to detail and are dedicated to carefully executing each task thoroughly and completely in order to ensure flawless execution throughout the life cycle of each event.